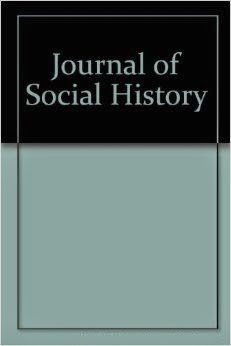 Book review published in Journal of Social History 41(2):507-509, December 2007. Please cite as: Deflem, Mathieu. 2007. Review of Police Stories: Building the French State, 1815-1851, by John Merriman. Journal of Social History 41(2):507-509. Among the police systems best understood in terms of their historical antece- dents, that of France stands out. Yet even for the French police many interesting aspects remain to be uncovered. In this richly detailed book, eminent French connoisseur John Merriman of Yale University focuses his attention on the 'commissaires de police' (police commissioners), the heads of police in the smaller towns in the provinces of France. These policemen were responsible for the control of crime and maintenance of order in those places where the central state could not directly have a presence. The commissioners thus were principally a rural police, first established in 1791 out of the Ancien Régime, separate from the military-like gendarmerie under the ministry of war. Merriman traces the activities of the commissioners during the Restoration period (1814-1830), the July Monarchy (1830-1848), and the Second Republic (1848-1851). Not only does Merriman not concentrate—to his credit—on the center of French policing and the state in Paris, in studying the commissioners in France's smaller towns he also focuses on the everyday experiences of the men who occupied the posts. Thus, Merriman's book is a flesh-and-blood account of policing at the very bottom of the French system. By choice of theme and approach alone Merriman's book is novel and refreshing. The study is also conducted in a manner that betrays the historian's sensibility for detail and the everyday activities—sometimes critical, sometimes banal—of the policeman's lot. Located within the historical literature on France's police, especially its obsession with a total system of control seeking to regulate human conduct down to its smallest detail, Merriman focuses on the manner in which the police commissioners were meant to extend the reach of the central French state during various regimes. The commissioners were supervised by the ministry of the prefects and subsequently the ministry of the interior, although they were placed under authority of the local mayors in the towns where they served. Besides its [end page 507] function towards the powers of the state, the commissioner system also extended French national culture in a very diverse nation, precisely by having commissioners be familiar with and sensitive to local cultures, their language and mores. Throughout the first half of the 19th century, importantly, the commissioner system underwent a gradual professionalization, whereby the commissioners came to regard their activities in distinctly professional terms based on notions of efficiency in police work rather than alliance with the powerholders occupying the highest political offices in the center of the state. This professional identity would ultimately culminate in the establishment of a civilian police force in 1854. A central dynamic unfolding in Merriman's story, thus, is the tension between the political and professional standards the commissioners adopted and by which they were evaluated. While politics never fully disappeared, police professionalism would steadily increase in importance. The seven chapters in Merriman's book each uncover one thematic aspect of the commissioners' careers during the considered time period. Explaining the rationale and structure of the French police system, Merriman explains how the commissioners were paid by the local mayors but were responsible both to the mayors and the prefects in the execution of their varied duties. The commissioners were thus inevitably confronted in their careers and activities with the conflicts between France's central and local governments. Over the years in the first half of the 19th century, the commissioner system expanded, but not so much under influence of political conditions as in consequence of distinctly societal developments, particularly the growth of towns. Most towns of 5,000 inhabitants, some even smaller, received a commissioner. In terms of career advancement, political reliability became less important, at least after the Restoration period, than bureaucratic criteria related to zeal in police performance. As to career advancement and getting fired from their position, the commissioners were likewise increasingly evaluated on the basis of their proven professional competence. Political purges of the police might still occur, but they were less likely during the July Monarchy and the Second Republic. Political policing duties varied with the changing regimes, yet they tended to always focus on a generalized dissidence of public order, as in the control of activities on public markets and in cafés. Specifically targeted by the commissioners were travelers, foreigners, beggars, and others who were seen as outsiders. The policing of crime was a relatively less pronounced part of the commissioners' activities, as crime levels remained low. The conflicts between city and state which commissioners experienced never ended, but throughout the period the trend evolved in favor of an increased centralization of policing. I very much enjoyed reading this well-written book and recommend it to social scientists interested in policing and to serious scholars of French history. A history of France (and elsewhere) without a history of police lacks teeth. And, as Merriman shows, a history of policing without a history of the men (and, later, women) who took up police activities lacks the meat those teeth must sink into. Of course, as a historical sociologist, I would have favored greater attention to the theoretical discussions surrounding the perspectives that informed Merriman's study. Specifically, this study presents critical materials in the ongoing debate between state-centered political theories of policing (as extensions of state power) and bureaucratization and professionalization perspectives of police (as [end page 508] independent experts). Merriman is sometimes a bit hesitant in taking up a clear position in these debates, but he is ultimately convincing, in my mind, in viewing political police duties and dependencies as gradually declining in importance in the period in question. Professionalism in policing evolved such that political police duties were included among many other tasks as part and parcel of a very broad police concept. Likewise, the fact that policing practices across France's towns became very similar to one another does not necessarily imply evidence of an extension of the reach of the center of the state, but might better be conceptualized in terms of an increasing professionalization the principles and effects of which cut across municipal borders. In Police Stories, Merriman more than makes up for the somewhat undertheorized nature of his study by offering a really superb exercise in genuine social history. Truly masterful are Merriman's ethnological sensibilities to unravel the real, i.e. serious as well as mundane, nature of much police work on the basis of a well-ordered collection of meticulously researched primary data. In this respect, clearly, the social historian flat-out outsmarts the historical sociologist. Even the commissioners of France's 19th-century police may have been less successful in their quest to control human conduct in its finest details than Merriman has in describing their activities in the most sensitive detail, characteristic of the very best of historical analysis.